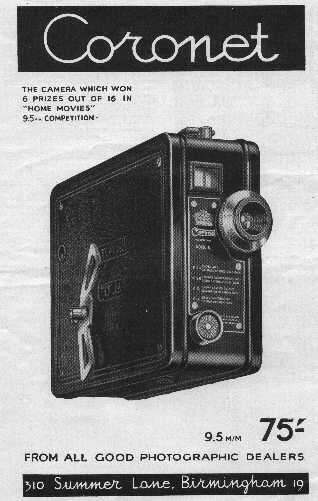 The Coronet Cine movie camera used a film with 9,5mm format, and it was produced in 1932. 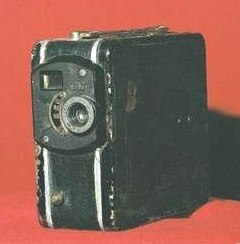 It is equipped with a lens Coronet Anastignatic 1:3,9. Its weight is kg. 1,300 and its measures are the following: 53x116x145mm. The housing is black.